Rebus features in Stylist Magazine Big Fashion Issue. Special thanks to The Rake team for writing this special feature on Rebus. 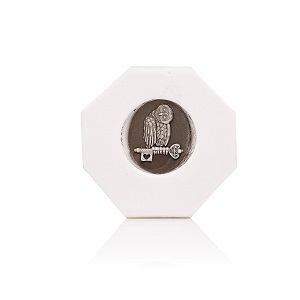 The Rebus fingerprint pendant features in their Watches & Jewellery Guide. Many thanks to Lucia Debieux for including Rebus in their pendant edit. 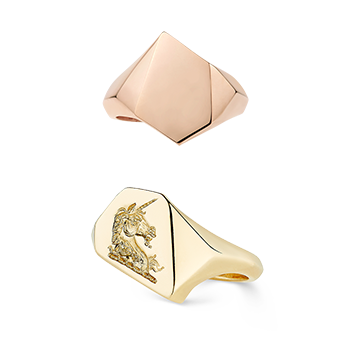 The Whippet Talisman features in their jewellery edit for Men. 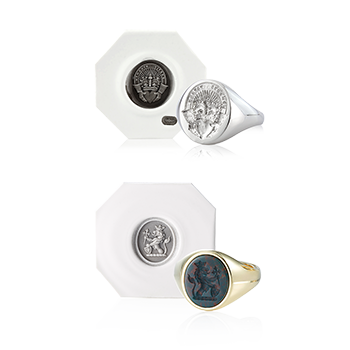 Featured in their must have ‘eclectibles’ men’s gift guide. 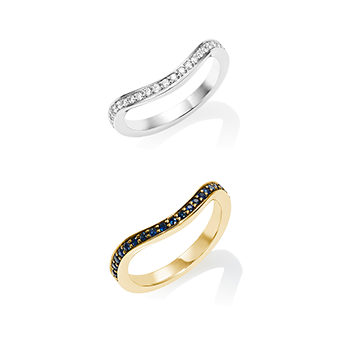 Rebus features in their ’12 Elegant Jewelry Gifts That Will Always Be in Style’. Tatler features Rebus in their Movie Star edit in their annual Watches & Jewellery magazine. 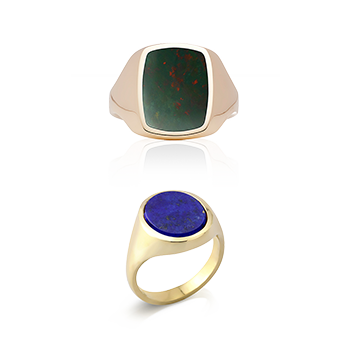 Harper’s Bazaar Arabia features a Rebus Lapis signet ring in their Serene Blues edit. 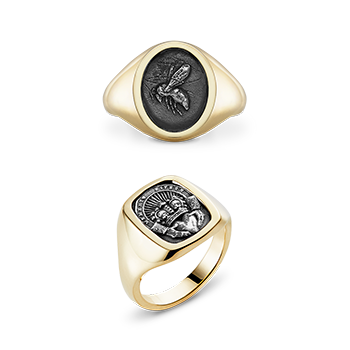 In celebration of intelligent design for Wallpaper’s Handmade, Rebus created a unique, bespoke signet ring featuring their emblematic seal. S Magazine features our bespoke engraved pendants. 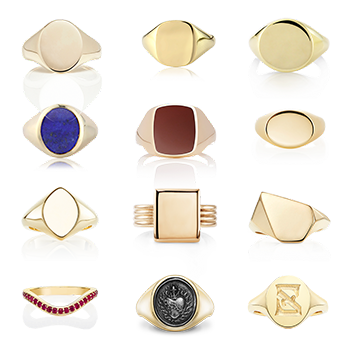 Many thanks to journalist Lucia van der Post for including Rebus in her Tastemaker’s Luxury In Brief feature. 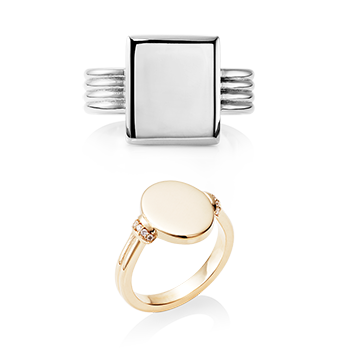 Our customizable, bespoke pendants are featured in Red’s 3 Hot Jewellery Names to Know. 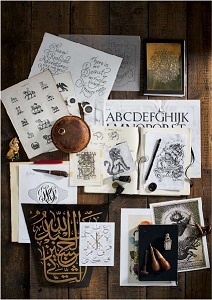 Many thanks to Billy Huxley, who talks about personalized engraving and the craftsmanship behind the design. 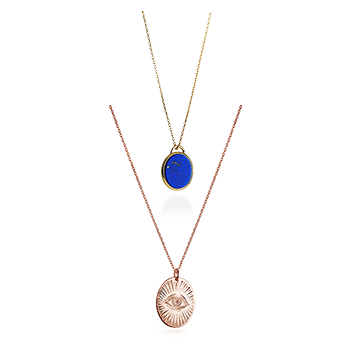 Many thanks to Fashion Editor, Lucy Walker, for featuring our bespoke pendants. 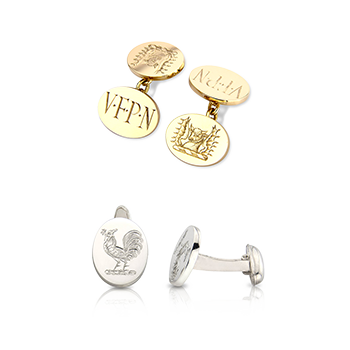 She talks about the symbolic meaning behind bespoke engraving and her own experience with the Rebus bespoke service. Many thanks to journalist Tiffany Eastland for a fantastic feature in the City Magazine. 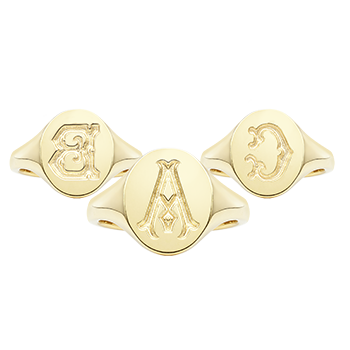 A very chic photo shoot featuring our signet rings. Styled by Bumble & Bumble. Another beautiful photoshoot by Elle magazine featuring our Cornelian stone set signet ring in 9ct gold and 18ct gold Oxford Oval. 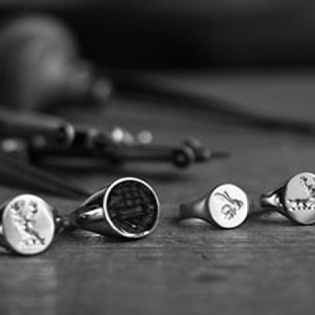 A stunning photo shoot featuring a range of our silver signet rings. Photographed by Thomas Schneck and styled by Anne-Marie Curtis.